The ATC Chairman's Handicap is a staying event held during the Sydney Autumn Racing Carnival at Royal Randwick on Day 1 of 'The Championships - Doncaster Mile Day. The ATC Chairman’s Handicap is a 2600m staying event held at Sydney’s Randwick Racecourse on the first Saturday in April as part of the opening day of ‘The Championships’. Doncaster Mile Day features four Group 1 status races led by the Group 1 $3 million Doncaster Mile (1600m) as well as a number of Group 2 and 3 status races including the Chairman’s Handicap, also known as the Chairman’s Quality. Worth $300,000 in prize money, the Group 2 quality handicap has a minimum weight of 52kg and a high weight of 61kg. It is a lead-up race to the Group 1 Sydney Cup (3200m) and the winner of the Chairmans Handicap is exempt from ballot and penalty for the Sydney Cup. 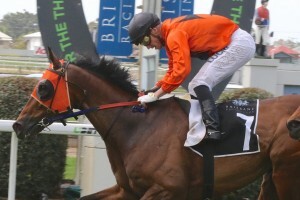 The Sydney Cup is run one week later at the same Royal Randwick track and The Offer (2014) was the latest horse to complete the Chairman’s Handicap – Sydney Cup double. In 2016 the Chairman’s Handicap winner Libran went on to run second next-up in the Sydney Cup, while in 2017 Big Duke won the Chairman’s before a third in the Sydney Cup. The Chairman’s Handicap 2019 runs on Saturday April 6, 2019. The season’s latest ATC Chairman’s Handicap 2019 betting odds online provided by Ladbrokes.com.au will be available below for Races.com.au readers complete with market links. The Chairman’s Handicap field attracts a smart line-up of Sydney Cup-bound stayers and many horses come via an earlier Sydney Autumn Racing Carnival run in a traditional lead-up race like Rosehill’s Group 3 NE Manion Cup (2400m) held a fortnight before. The official 2019 Chairman’s Quality Field is set for release on Wednesday April 3, 2019 and will be published in full below. The ATC Chairman’s Handicap nominations 2019 will be published below as soon as released by Racing NSW on Monday April 1, 2019. The official ATC Chairman’s Quality 2018 Nominations attracted a bumper 27 stayers chasing a ballot exemption into Saturday week’s Sydney Cup field including six for Lloyd Williams’ head trainer Liam Howley led by Roy Higgins Quality winner Aloft. The Chairman’s Handicap first recorded win was in 1979 by Lady Dignitas. Since then, No Wine No Song has been the only horse to win the event in two consecutive years in 2007 and 2008. Steel Phoenix has also won the event twice in 1999 and 2001, as did Tremec (2013 & 2015). The race started in 1979 as a Group 3 race and reached its current Group 2 status for the first time in 2002 when Henderson Bay won. It was run over 2600m from 1979 – 1999, but from 2000 – 2003 ran over a shorter distance of 2400m. It has been back up to 2600m since 2004. See below for the full list of ATC / AJC Chairman’s Handicap results going back to 2000.